TORQ has a very strict Anti-Doping stance and we guarantee the purity of our products. As you begin to understand our philosophies, you will learn that we always source the most natural of ingredients and have made it our mission to produce the finest, most technologically advanced Performance Nutrition range in the world, without resorting to the use of artificial/chemical additives including sweeteners and colours. With a philosophy as pure as this, we hope that this alone gives you confidence in the TORQ brand. One would think that with our commitment to purity, that it wouldn’t be necessary for us to test our products for the presence of substances listed on the WADA (World Anti Doping Authority) Banned Substances list? Although we don’t think it’s necessary either, it is technically illegal for us to guarantee to our customers that our products are free from banned substances unless we test them for the presence of them. The argument being that without a valid test certificate to prove that a product doesn’t contain these banned substances, how can we be sure beyond doubt that it is actually clean? Testing for prohibited substances takes place in a WADA accredited laboratory and is not an inexpensive process, but we feel it is necessary to provide professional athletes with the assurance and confidence they need in such an uncertain world. A few years ago, many sports supplement brands were tested independently and an alarming number were found to contain traces of substances that could give rise to a positive dope test. We want to make absolutely sure that this accusation will never be levelled at us. To add a little perspective to this very important subject, when you’re sitting down eating your breakfast cereal in the morning, do you worry that your food may contain prohibited substances? We’re pretty sure it wouldn’t cross your mind and why should it? 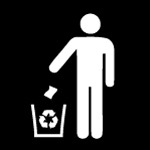 Do you worry about prohibited substances being in any of the regular food that you purchase from a supermarket? You shouldn’t worry, but by the same token, you shouldn’t worry about TORQ either, because our ingredients are sourced and products manufactured to the same high standards as normal everyday food. By taking the professional stance that we do with regard to testing for banned substances however, we can offer an unparalleled level of purity assurance, simply because we have a testing regimen in place for our products. Standard food products and ingredients you purchase from a supermarket are not tested for banned substances and are therefore not guaranteed to be clean. All of our TORQ Bars contain a very high percentage of Fairly-Traded fruit and four have Fairtrade Certification. Both of our TORQ Recovery Bars are Certified Fairtrade too, as are two of our TORQ SNAQ Bars. Our Organic Mango TORQ bar is certified Organic by the Soil Association as are both of our TORQ Chews. We also have Organic certification on one of our Energy Drinks. What this means is that we are regularly audited to the highest possible standards.  Organic food, by law, has to be produced under the ‘Mixing Bowl Philosophy’ which means that the food production must start with a clean mixing bowl. Anything that is then added to that bowl MUST be organic, because the moment something that isn’t organic enters the bowl, the entire recipe becomes polluted and must be disposed of. This philosophy guarantees absolute purity. Despite these measures being in place and our clear commitment to product purity, we still test our products for prohibited substances by an independent WADA accredited laboratory under standard ISO17025. TORQ products are random-tested under ISO17025 by an independent WADA accredited laboratory. We test all of our product lines and will always have ‘tested’ product available for those athletes who want absolute assurance that the food they are consuming is guaranteed to be free from prohibited substances. If you want to purchase this ‘tested’ product (at the normal price), you can phone us on 0344 332 0852 and we will take your order over the phone. Our random testing procedure means that the flavour availability may be limited, so please bear this in mind whilst ordering. Test certificates and flavour profiles of currently tested product are accessible from the final tab on this page. Many of our product classes are produced from the same batch of ingredients. For instance, all of our Energy Drinks are made from the same batch, the only differential is the natural flavour, which defines how they taste. The same goes for our Recovery Drinks and Energy Gels. We test one flavour from each product class and consider that this accurately represents the entire batch of flavours for that product. Unfortunately, if we tested all flavours separately, the cost would be prohibitive and the average person on the street would be discouraged from buying our products due to high prices. We believe that we have struck the perfect balance between having a committed anti-doping stance and being ‘sensible’. We realise that everyone who purchases our products wants assurance of purity, but also understand that not everyone wants to pay for product testing when it potentially only benefits an absolute minority of the population (athletes who undergo testing). 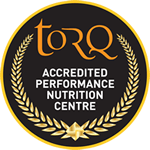 If you are an elite athlete or are concerned that you may undergo testing for prohibited substances, please use all TORQ products with confidence and we hope we have convinced you of the transparancy of our procedures. If you need absolute assurance that you are using a product that has been tested and therefore carries a 100% guarantee of being free from any banned substances, please contact us and we will send you product from the most recent tested batch. Flavour choice will be limited, but we will ensure that you receive the correct batch and are forwarded a copy of the test certificate. If you have any questions at all about our testing program, please do not hesitate to get in contact with us. See below for the listings of our most recently tested products.